First of all. Is it a termite? Although it is an insect, a termite has only two body sections, a head and the main body. There is no constriction between an abdomen and a thorax. 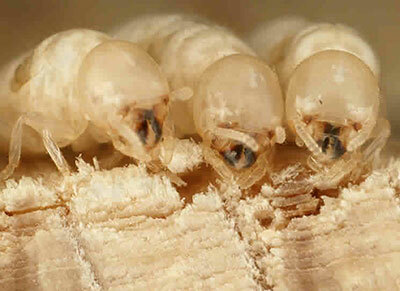 Termite antennae are straight and like beads threaded on a wire. Workers are relatively small compared to the soldiers and are blind while the soldiers have large heads and are also blind. The winged forms have compound eyes and two pairs of equal sized wings. 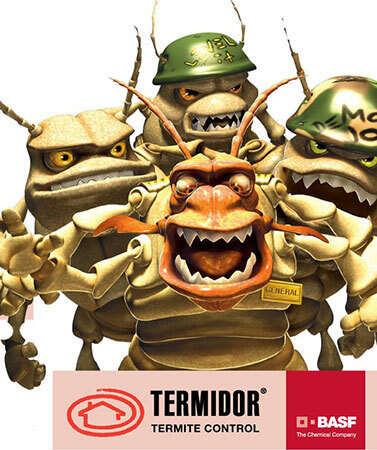 For the purpose of species identification, it is preferable to look at the soldiers found in the nest or the mud tunnels as they are easier to tell apart than the smaller workers. There are two main species which cause the most damage to homes. Coptotermes sp. has an egg shaped head with the smaller end pointing forward. From this protrude two simple, curved black jaws. There is a small hole above and behind the jaws which produces a milky secretion which repels ants. Schedorhinotermes sp. Have two types of soldier, major and minor. This is the only species which does and seeing two types of soldier is usually identification enough. However, until the colony is a few years old, only minors are apparent – after which the majors also appear. The majors have a squarish to rectangular head, wider at the back and somewhat flattened. The two protruding black jaws are slightly serrated and there is a small hole above and behind the jaws which produces a milky, ant repellent secretion. The minors are smaller than the majors with a rounder flattened head and less serrated jaws with palps in between. They also have the secretory hole above the jaws. 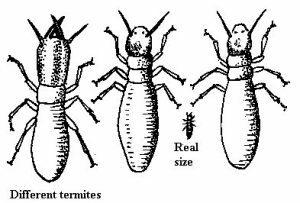 It will probably be apparent by now that identifying termite species correctly is not so simple. 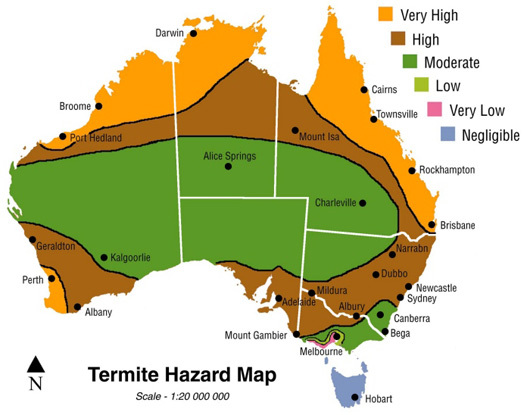 If you find termites in or around your home, it is probably prudent to call a professional, licensed, termite exterminator to do an inspection for you. We have 30 years of trusted experience behind us, and offer competitively priced solutions that work.